I enjoy reading a wide range of science fiction novels and this page is a jumping off point to all of it. 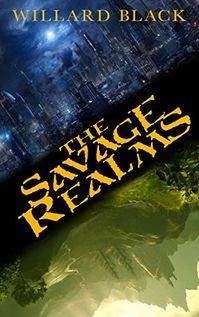 These are books that are either pivotal works, by critical author's like Frank Herbert and Roger Zelazny, or hold a certain weight in the culture. LitRPGs are a vibrant new sub-genre of sf and fantasy that derive from role playing and computer role playing games. I've listed them under science fiction because most of the more recent ones seem to involve some sort of advanced gaming experience. The best of these games intermingle the "real world" with the "game world" experience to some extent so that character development depends on occurrences in both places. You can find my reviews of LitRPGs here. 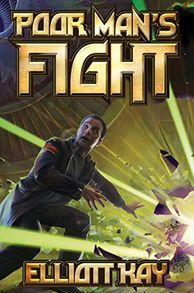 Military SF has always played a major role in the science fiction genre and I've always read quite a lot of it. You can read my reviews here. Not all Science Fiction results in series. This section of the website is devoted to my thoughts on books I've read that don't easily fit into other categories. You can find them here. C.J. 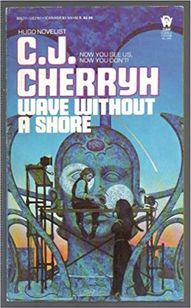 Cherryh has long been one of my favorite authors. She's especially noteworthy for her ability to create alien cultures and build stories around the difficulties of communications and understanding between species. 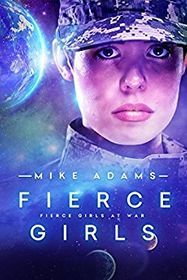 Mike Adams’ Fierce Girls at War is one of the best military SF series I’ve ever read. It holds its own with top series like David Weber’s Honor Harrington and John Ringo’s Troy Rising. Stylistically, it’s a mix of serious infantry action and the behind the scenes know how of a W.E.B. 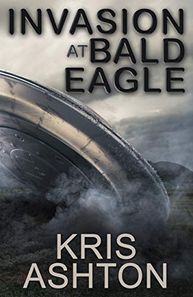 Griffin novel. The result is an often gritty, always fascinating, exploration of earth’s first colony and its run in with a peculiar alien species called the Rift. In addition to the tight military action, politics plays a very important role in this series, but not the traditional high level presidential-style politics. In the Earth of the future, terrorism continues to be a significant problem and much of the anger of the terrorists is focused on the growing interstellar economy. Adams deftly uses this movement not only to establish the foundation of his series, but to add plausible tension at every level of the interstellar enterprise. Another of the strengths of the series is the multiple view points from which the reader gets to explore Earth’s first interstellar colony. Not only are their multiple POVs in the colony of New Hope, but Adams gets the reader into the nitty-gritty of life on a starship as the great ships transit the vastness of space. There is also usually a couple of chapters in each book grounded in the cast members still located on earth. The cast is the greatest strength of the novel. Adams opens the series by introducing three generations of the O’Brien family. The matriarch, Kelly O’Brien, is in charge of firearms training for the NYC Police Department. Her children are almost preternaturally gifted marksmen, the beneficiaries of a training technique invented by their deceased father. 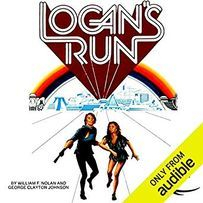 Rick O’Brien and Sergeant Molly Bennett quickly run afoul of the Hassan Gul terrorist organization by killing several of the chief terrorist’s sons and are eventually forced to leave the planet to keep from being assassinated. From this very exciting beginning the whole series unfolds. At New Hope Colony, Rick and Molly carve out a place of influence for themselves in the colonial logistics office while the alien Rift begin taking covert steps to reclaim the planet they feel the humans have stolen from them. The Rift are an advanced, economically focused, alien species with very little experience of war. They do their fighting with primitive mercenaries who are physically durable and are indiscriminate carnivores. Over the early books of the series, the reader watches the colony and an approaching starship begin to pick up hints that something is wrong, but not quite putting the facts together before the invasion begins in earnest. From this moment forward, the series moves into overdrive, as the invasion advances, the colony struggles to respond, and Rick and Molly, together with a group of some fifty high school girls, find themselves marooned in the dangerous back country of New Hope Colony, hundreds of miles from civilization and unable to contact the colonial authorities for help. With their communications satellites rendered inoperative, the colony can’t even communicate with the starships slowly making their way in system. The already high tension continues to ratchet up as the war continues. If you’re looking for a well-thought-out military sf series with plenty of action, you should take a look at Fierce Girls at War. For more information on the series, take a look at Mike Adams web site at https://fiercegirlsatwar.com. You can read my individual books in the series here.